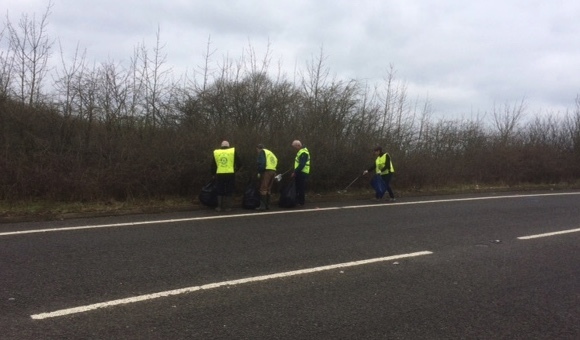 On April 14th, members of RC of Wortley conducted a litter pick on and around a slip road to the Stocksbridge Bypass near to Wortley Village. This area was chosen after President Trevor has noticed that there was a huge amount of rubbish building up on the verge so that it was becoming very difficult to actually see the grass. After bringing the issue up at a club meeting, the club arranged to do a “litter pick”. In two hours, they collected 14 bags or rubbish, and received support from people driving past (thumbs up and shouts of “Well Done” etc). The effort was reported in local media with a headline of ‘Rotary Club clean up on Bypass’ – a good example of Rotary in Action.